I was travelling with my adult daughter. We found the room to be very clean and comfortable. There was plenty of space, and I found the bathroom and kitchen area to be exceptionally clean. The room was great but it smelled musty. I booked a 2 bedroom apartment because it was the last room left. Perfect for a couple with children or another party. Close to the Hotel and bottle shop next door and great meals etc Appreciated the foxtel sport channels on the TV as I was keen to see the golf. The location is fantastic close to everything. It is a great base for travelers. Beds were extremely comfortable. Nice room with plenty of space, well decorated. Great bathroom. Very conveniently located on the way from Melbourne to Sydney. Very clean and comfortable. The staff went out of the way to make sure we could have early check in to get ready in time for a wedding we were attending. The rooms were beautiful and so clean. Lock in a great price for Blazing Stump Motel & Suites – rated 9.2 by recent guests! Blazing Stump Motel & Suites This rating is a reflection of how the property compares to the industry standard when it comes to price, facilities and services available. It's based on a self-evaluation by the property. Use this rating to help choose your stay! 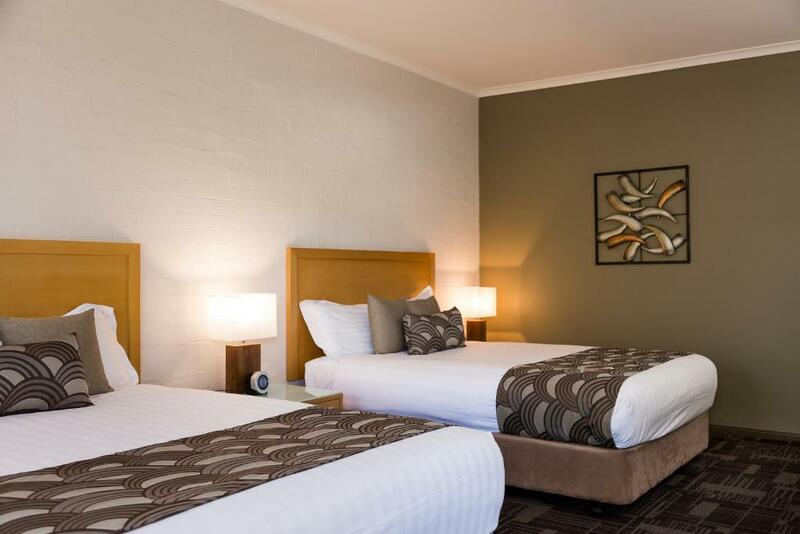 Offering a solar-heated seasonal swimming pool, a tennis court and a sauna, Blazing Stump Motel & Suites is a 3 minutes’ drive from Wodonga’s town center. All accommodations includes free WiFi and free parking. 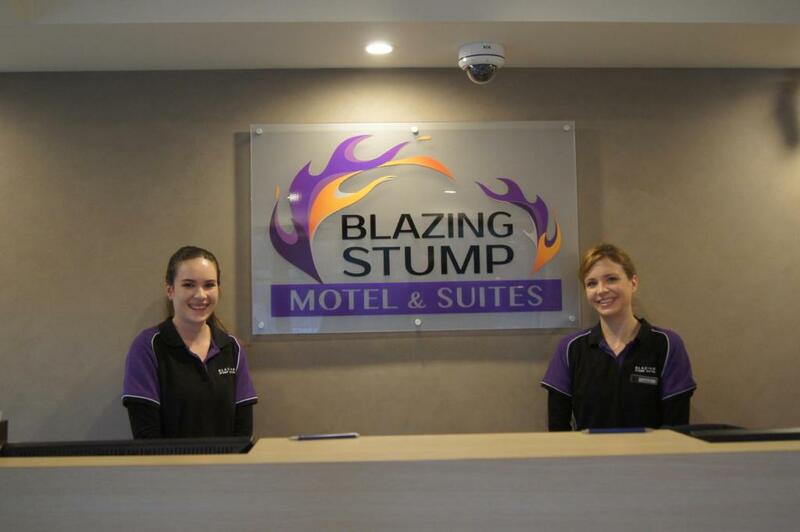 Blazing Stump Motel & Suites is 6 minutes’ drive from Albury’s town center. 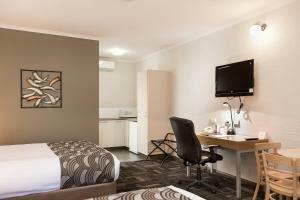 It is 8 minutes’ drive from Albury Airport. The Rutherglen wineries are within 45 minutes’ drive. The Lake Hume is a 7-minute drive. All air-conditioned accommodations features a kitchen or kitchenette. The apartments and suites each have a flat-screen TV with cable channels and a DVD player. Some accommodations also includes a spa bath or fireplace. The adjacent Blazing Stump Hotel Bar & Bistro is open for lunch and dinner, offering steaks, salads, seafood and pasta. Breakfast is available in room or served in the dining room. This property is also rated for the best value in Wodonga! Guests are getting more for their money when compared to other properties in this city. When would you like to stay at Blazing Stump Motel & Suites? This air-conditioned suite features a kitchenette and an private bathroom with a bathrobe, a hairdryer and guest toiletries. Please note that the price is based on 1 guests. Maximum occupancy is 2 (see Hotel Policies). This apartment features a microwave, dishwasher and dining area. This luxurious apartment features a king-sized bed, separate lounge area and a spa bath. This double room features a toaster, air conditioning and microwave. This apartment has air conditioning, stovetop and toaster. Pets are permitted in this room. Set on 6 acres and located in a rural atmosphere 3km from the CBD and 8 minutes from their airport we offer every guest plenty of room to rest, relax and rejuvenate. Whether you are staying for business or leisure you are always most welcome. House Rules Blazing Stump Motel & Suites takes special requests – add in the next step! Blazing Stump Motel &amp; Suites accepts these cards and reserves the right to temporarily hold an amount prior to arrival. Blazing Stump Motel & Suites accepts these cards and reserves the right to temporarily hold an amount prior to arrival. Please note that there is a 2.97% charge when you pay with an American Express and a 3.22% charge when you pay with a Diners Club credit card. Debit cards are not accepted. Please note a AUD 1 credit card pre authorization is required upon arrival. For further information, please contact the property directly using the contact details provided in your confirmation. Comfortable room, spacious and clean rest room and self help facilities like fridge, microwave, kettle etc. Having to go get replacement milk for tea/coffee, I thought this would of been done when room was made up, found that inconvenient, and if we had got back to our room any later reception would of been closed, and we would of missed out. Was very clean, our room was made up each day as requested, quiet and having free wifi was amazing, I didn’t expect that, that was a great surprise..
Staff super friendly and cleanliness was pristine. Cleanliness of room and the affiliation with hotel next door that made it convenient to dinner and charge it back to my room. The bottom swimming pool see comment above. The whole complex was excellent the pub food and set was some of the best I have been in.Only down side was the bottom swimming pool was full of green algae needed a good service. Everything was perfect. So suited to our needs.